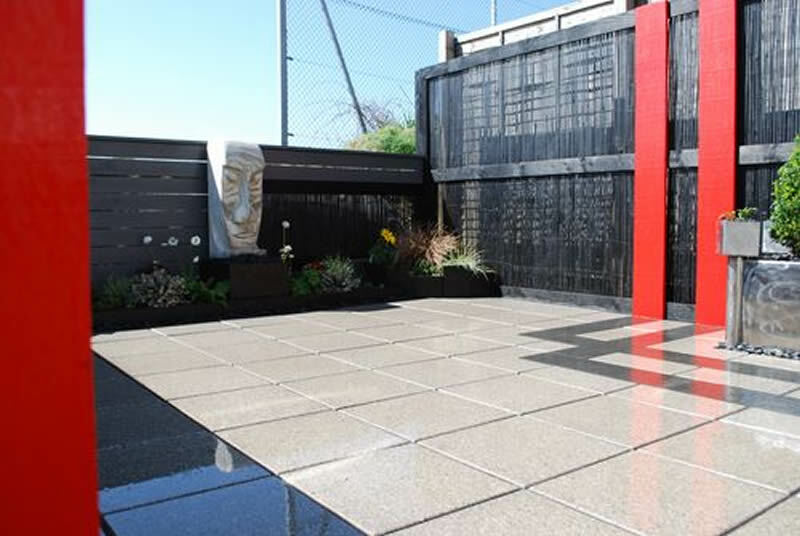 The video you see below is of the final layout plans and finished project for a contemporary garden, in Whimple, Exeter designed by Kerry Jackson. Zoom in and take a look at the standard of finish. Granted this my not be your style at all but please remember this project was created solely for our client in Exeter. I still think the slightest turn (dependant on which elevation you are facing) would have made all the difference, however you were the boss and I thank you for your business. 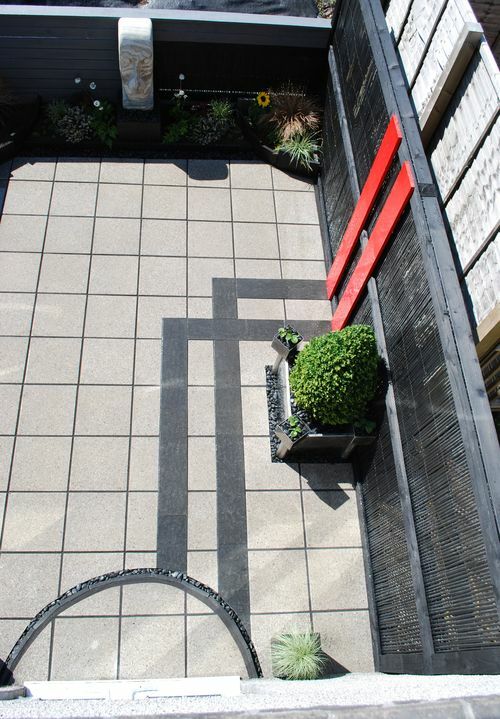 I dread to think of the amount of times my clients neighbour, who crosses over the road to introduce them selves, as “the neighbour of the client” who I’m currently completing the build up of a project I’ve been commissioned to design and fully landscape, now-a-days mostly with a strong bespoke contemporary theme. Usually I like to build an instant rapport with the neighbour as they are usually excellent for locating the long lost water supplies, 100mm square, lids and sometimes the kettle, thanks to all you neighbours who’ve taken care of me whilst still out there creating and installing throughout the months of winter. Bless you all. How many times have I listened to the words “If I had the money I’d have your work in our garden tomorrow”. To be real to myself I’d say too many to try and remember, which is the exact reason why I will explain to you, that, should you fuse basic materials with plants, colour, quality paving, lights and a very creative mind and experienced hands, then I’m sure you’ll be relieved enough to speak to me in person about what I can do for you and your garden space. The current project Im working on, 22/04/10, will allow you to be able to view what could be created for you for as little as £15K all in, on the 22nd April 2010 I’ll demonstrate with images and quotations from our suppliers, that you too could enjoy the benefits of your dream garden created by Kerry Jackson. The images below are the finished project, as I’ve mentioned earlier, you too could be relaxing and unwinding in your bespoke space, after all, all my projects are designed and built for you and you only, never will you see the same work twice in my portfolio, or anyway where else in the UK. 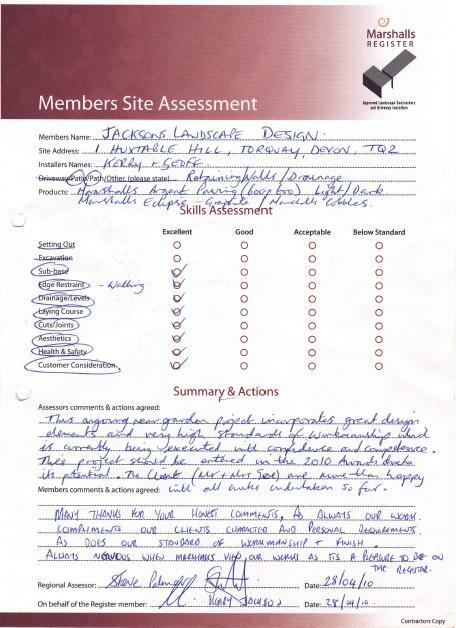 You may want to read what Marshalls Regional Assessor has to say about Jackson’s Landscape Design whilst on a visit to assess my work recently.